$6,900 - One Month Free Rent $6,400.00 per month!! Watch Central Park come to life from your balcony! This world renown panorama is your breathtaking cityscape all year long. 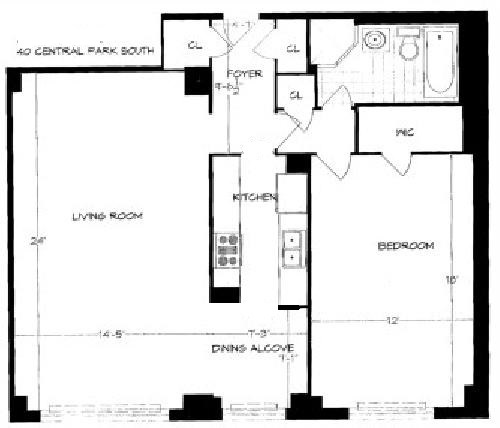 This is a distinguished over-sized one bedroom with a large kitchen. Outside your living room is a fantastic Juliet Balcony that looks over Central Park with CPW on your left and 5th Ave on your right. The bedroom has the same park view. There is a true wood-burning fireplace in this unique home with many other prewar details.